Diabetes is one of the fastest growing chronic diseases worldwide. According to the World Health Organization (WHO), the number of people suffering from diabetes is estimated to grow from 171 million in 2000 to 366 million in 2030. The condition is also the leading cause of diabetes retinopathy (DR). In some cases, swelling of blood vessels and secretion of fluid in the eye may occur. 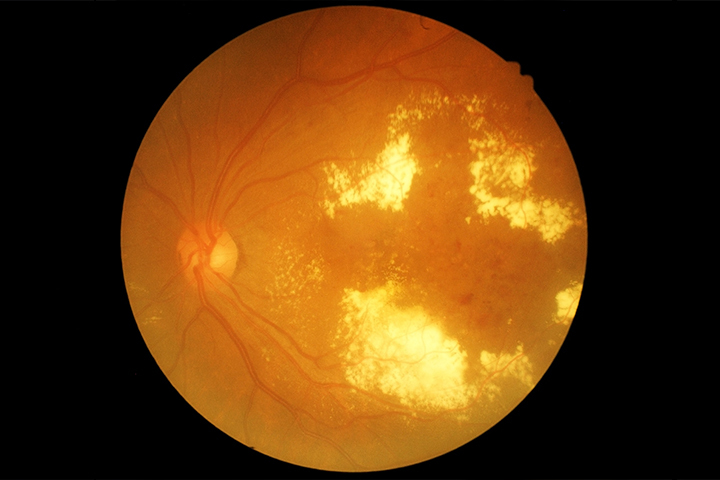 DR is the major cause of vision loss among middle-aged and elderly patients with type 1 or type 2 diabetes, globally. The treatment of DR depends on the severity of the disease. As the damage caused by DR is irreversible, treatments are aimed at prevention of the disease. Medications such as anti-vascular endothelial growth factor therapy (anti-VEGF) drugs help reduce swelling of the macula, slowing down vision loss. Steroids are also used for the reduction of macular swelling. In case of advanced proliferative retinopathy, surgical treatment may be needed. The market for diabetic retinopathy is growing, owing to the rise in geriatric population and the increased occurrences of blindness or loss of vision due to diabetes. As per the report by Allied Market Research, the diabetes retinopathy market is expected to accrue a sum of $2,490 million by 2022, growing at a compound annual growth rate of 14.4% from 2014-2022. Studies have shown that screening, early detection, and prompt treatment of DR can reduce the risk of an individual’s loss of vision by a high degree. Nevertheless, DR screening services remain limited in a few areas in both developing and developed countries. Moreover, there are challenges associated with ill-defined guidelines on the suitable procedure for DR screening as well as the resources required for the use and maintenance of the screening programs. Therefore, DR is a growing health issue globally. It is very important that companies come up with innovative solutions to manage DR by improving access to DR screening, as well as plan and optimize affordable screening programs. For instance, in April 2018, a new AI system called IDx-DR received the US Food and Drug Administration (FDA) approval for its use as a tool for the autonomous detection of diabetes retinopathy in the US. In July 2018, Diabetes Australia (DA) formed a partnership with the federal government and many other companies to establish a national diabetes eye screening program that provides timely identification and intervention to protect people with diabetes and prevent their vision loss. In July 2018, YD Life Science got the FDA nod to start a phase 2a trial for YD-312, a therapy that treats DR.
TheFDA granted IDx’s De Novo request to market IDx-DR. The equipment can be used to provide a quick assessment of DR, including macular edema during a routine visit in a primary care setting. The study is performed on-site, and a diagnostic interpretation and associated report are generated. The report also produces care instructions that are aligned with the American Academy of Ophthalmology-preferred practice pattern for DR. The screening program called the Preserve Sight program is an Australian-first initiative which enables the early detection and treatment of diabetes to protect the sight of Australian population suffering from the DA. Vision 2020 Australia, Specsavers, and Oculo also partnered with DA to assist in initiating the program. A national electronic eye health record, along with an alert system, is established by the program to encourage eye tests for those registered on the National Diabetes Services Scheme (NDSS). The government allocated $1 million to help facilitate the program. YD Life Science, a developer of natural medical supplies, synthetic drugs, and functional health foods in South Korea, got the FDA clearance for the initiation of the phase 2a trial for YD-312.